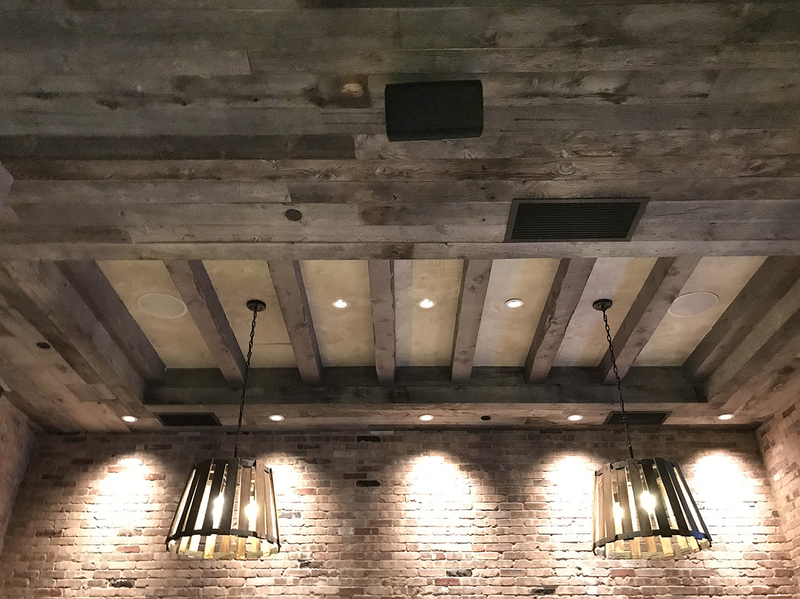 Reclaimed wood on the ceiling! 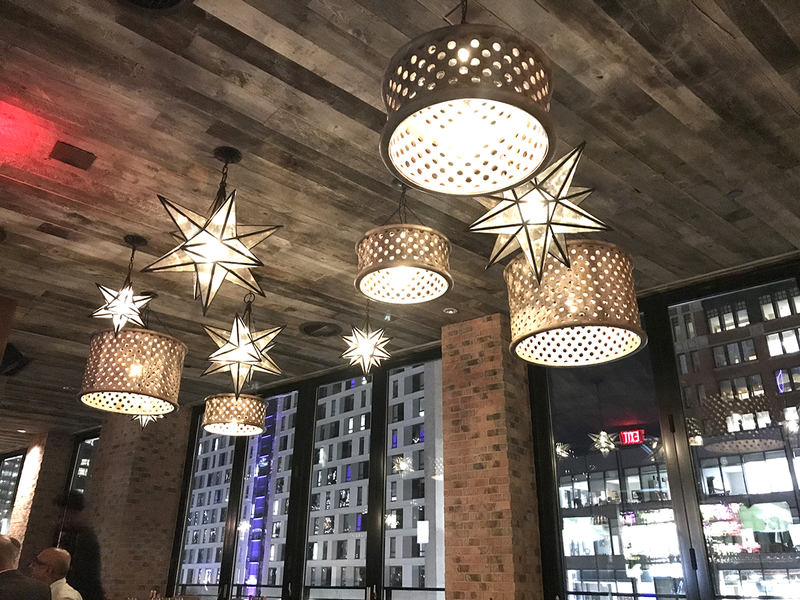 This new bar in Boston features our American Prairie Corral Board paneling. Our American Prairie Corral Board is sourced from, you guessed it, working animal corrals. What makes this product unique is its thickness and length, allowing for greater spans and more material. We’re fond of the occasional shadow marks that happen on boards not exposed fully to the elements, which gives this grade a geometric flair with stripes of browns on grey. A bit more consistent than our other American Prairie options, this barn wood siding comes in your choice of 5" or 7" single widths.